3000 Liter capacity. wheat, barley, canola, maize, potato, sugarbeet, grass_windrow, dryGrass_windrow, wheat_windrow, barley_windrow, silage, forage, chaff, manure, woodChips, seeds, fertilizer, kalk, forage, forage_mixing, oat, rye, sunflower, triticale, fodder beet loads. 11.500 € sale price, 20 € daily. washable. 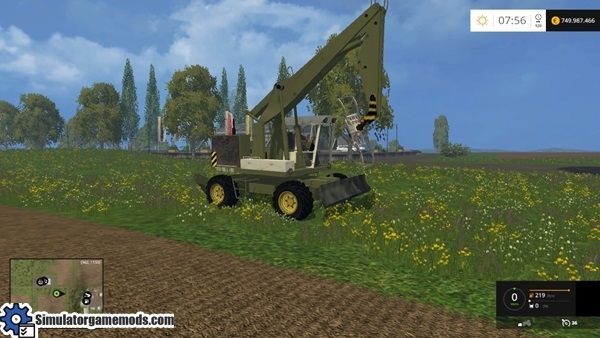 Fortschritt T188 Front Loader for Farming Simulator 15.